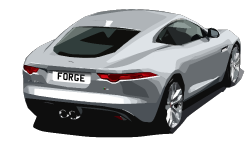 If you are a Jaguar owner in the Burghfield, Burghfield Common, Mortimer, Grazley Green, Tadley, Reading, Sulhamstead, Theale, Ufton Nervet or Wokefield areas bring your car to the Forge Garage Burghfield Common for excellent Jaguar servicing and Jaguar repairs. Jaguar is a British luxury car manufacturer. Jaguar was first founded in 1922 and was known as Swallow Sidecar Company. It was later developed into Jaguar Cars Limited in April 1945.